Ultra-low profile, portable truck scale designed for use in applications that call for a modular scale that's easy to move from one location to another. 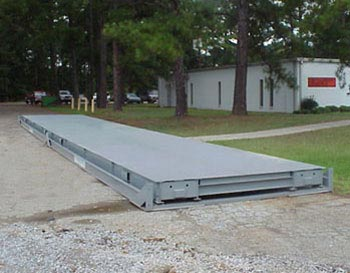 In fact, there's never been a portable truck scale that's easier to move or install. The 9900's design features a pair of dual main beams that run longitudinally along the truck scale to provide extra strength and support where it's needed most, under the path of the truck tires.